Although esophageal cancer makes up only 1% of cancer diagnoses in the United States, it is among the most difficult cancers to treat. Esophageal cancer affects the esophagus, the tube which connects the throat to the stomach. The five-year survival rate for this cancer is just 18% – due in part to the fact that symptoms typically do not appear until the cancer is in an advanced stage. Some esophageal tumors are only identified when they begin to interfere with a person’s ability to eat or drink. As esophageal cancer is most common in people over the age of 45, many patients are not fit for current treatment options. Once symptoms are recognized, the treatment options are limited, however researchers have recently made progress toward a possible solution. 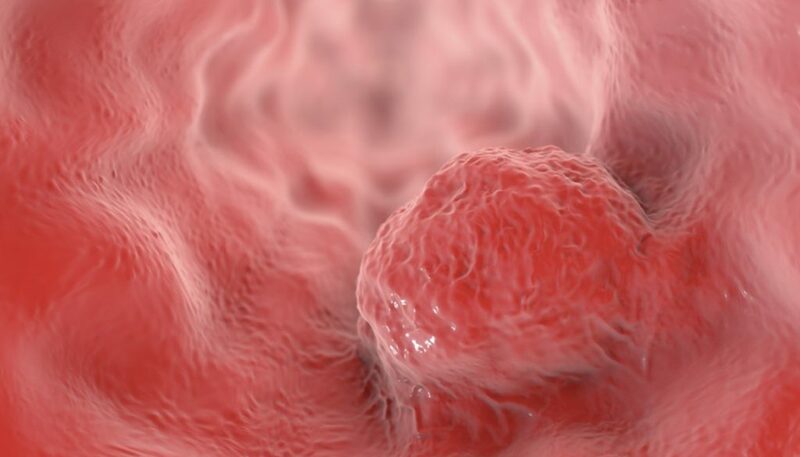 In February of 2019, researchers identified two new and promising drug targets for esophageal cancer. Treatments for esophageal cancer cells are commonly limited to surgery, radiation therapy and chemotherapy. Over time, medical professionals have discerned that the majority of esophageal tumors are resistant to these treatments. To address this challenge, researchers at the University of Cambridge continued seeking alternative methods of treatment. After using the whole genome (the complete set of genes present in an organism) and whole exome (part of the genome made up of “exons”) sequencing to map genetic mutations, the team was able to identify the main mutation present in esophageal cancer. This “driver” mutation was found in 99% of patients diagnosed with esophageal cancer. Upon further investigation, the research team found that over half of these “driver” mutations were sensitive to drugs already in clinical trials for breast cancer. This revelation means that personalized treatments for esophageal cancer may be available in as little as two years. Only a few weeks after the study in Cambridge, more promising developments were published in a study from Case Western Reserve University. The Case Western team identified two proteins that contribute to esophageal tumors. These proteins (JNK and TGF-beta) have overactive pathways in cancerous biopsies, however they are not overactive in non-cancerous biopsies. This means that other conditions of the esophagus, such as reflux disease or Barrett’s esophagus, are not influenced by these proteins. These findings suggest that the growth and harm of esophageal tumors may be reduced if the activity of the JNK and TGF-beta proteins are reduced. This research provides a basis for testing new treatments aimed at the involved proteins, and lays the groundwork for further investigation into another option for personalized treatment. The findings from each research team could have a huge influence on esophageal cancer research and treatment going forward. Prior to these studies, targeted treatments were virtually non-existent. Medical researchers did not previously understand what molecular forces drove the development of esophageal cancer. Both studies have begun to shift the paradigm in treatment. Rather than administering chemotherapy with low success rates, patients can soon look forward to personalized treatment plans. Additionally, such treatments are likely to yield favorable results to older patients. The introduction of targeted treatment options stands to be hugely beneficial to many different types of patients. To stay up to date with current cancer research, or to contribute to ongoing studies, please visit The National Foundation for Cancer Research. Andrew E. Blum, et al. (2019). Systems Biology Analyses Show Hyperactivation of Transforming Growth Factor-β and JNK Signaling Pathways in Esophageal Cancer. Retrieved from: https://www.clinicalkey.com.au/#!/content/playContent/1-s2.0-S0016508519303683?